The book will also be available at bookstores across the country. List TBA. Just before her father's sudden death, Cuban-American artist Veronica Gonzalez is offered her first gallery exhibit, a real chance to break into the art world. Torn between the need to mourn and the pressure to create new artwork, Veronica is propelled into a fever-dream of productivity and grief, amidst memories of her tumultuous relationship with her colorful but infuriating Cuban émigré father, a volatile man of outsize appetites and passions who never stopped longing for his homeland. 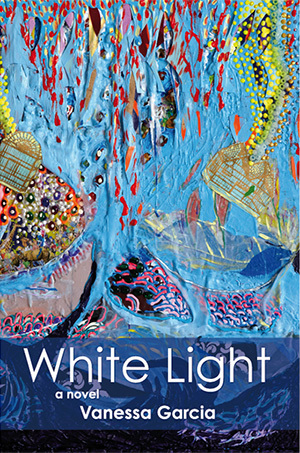 Praised by Nobel laureate Wole Soyinka for its "lyrical pace and texture," WHITE LIGHT maps a young woman's struggle to distill her grief, rage, and love onto the canvas. - Mary Gordon, author of The Love of My Youth and Spending. "The novel weaves the lyrical and prosaic to create a rich narrative tapestry. 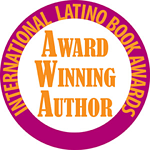 Garcia, in her very first book, has crafted a wholly distinct voice that's fully formed." "...a relentless engine, told in rich, smart prose and lucid detail -equal parts elegy and portrait of an artist... A lush, vibrant portrayal of the creative process, a daughter's love, and the unstoppable maelstrom of grief."